If you want a professionally built website designed by one of the best in the business, you need to get in touch with Amy at “One Stop Tech Shop.” She is very hardworking and produces a product that you will be extremely proud of. She designed and built our website for adventure therapy for wounded / injured servicemen and women from the wars in Afghanistan and Iraq. Love it! You just cannot get better results than from what Amy does. They simply don’t get any better than Amy! Amy with One Stop Tech Shop is awesome. She’s real knowledgeable about her products and services. I can always rely on her to call back within a timely fashion when I need her. She is honest and trustworthy. If you don’t have a clear understanding on how everything works with the web she is very patient in explaining to you. She is Awesome!!! Amy knows her stuff! She’s honest, goes the extra mile and is super quick on her response time. You can count on what she says, she won’t promise what she can’t deliver and she delivers on what she promises! Excellent service, extremely helpful and professional. There is nothing Amy can’t figure out how to do! She is invaluable to my business. Amy is a MASTER at WordPress and SEO tactics! I consult her any time I need to know how to do anything web-related. She helped me learn how to improve my website load time and how to show up higher in search results on any search engine! If your website needs help, this is the place to call! Amy is one of the most thorough and detailed oriented professionals I know. She is a true expert in her field and stays on the cutting edge of her industry. I trust her completely and that is why she is Fitzwilliams Financial’s CTO. 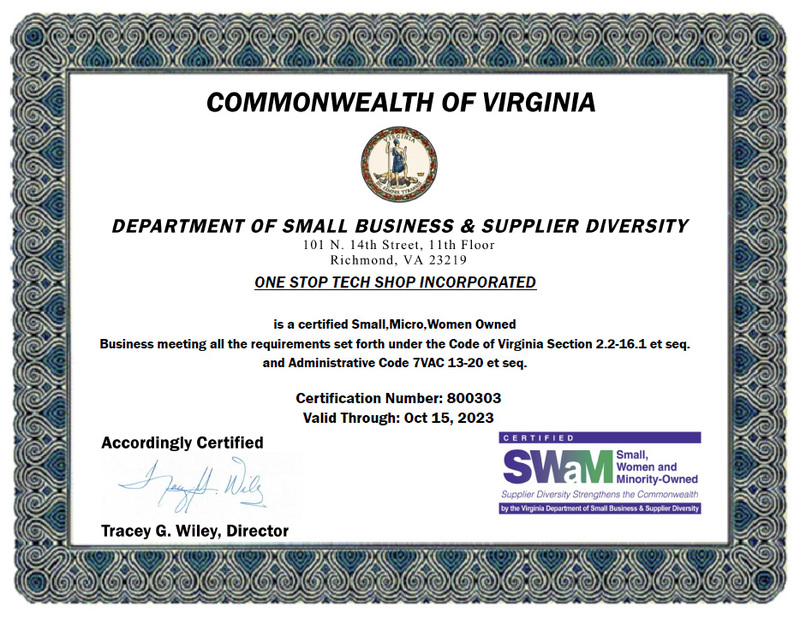 I highly recommend Amy Dearborn of One Stop Tech Shop. She designed my website and it looks great. It is very professional and appealing to the eye. I am so pleased with it that I look at it every day. I enjoy working with Amy and appreciate that fact that she gets back to me quickly to answer my questions. Amy is a very knowledgeable, trustworthy, and honest person. Her attention to detail and follow through are second to none. I highly recommend her! Amy is very professional and is a fantastic Web designer. She takes her time and asks questions to make sure she is meeting the customers needs. Amy is very knowledgeable when it comes to web design and is professional to deal with. She has a positive can-do attitude and loves to take on new challenges. A very trustworthy and friendly person, too! It is highly apparent in speaking with her right away that she is up to date on all things tech and knows her stuff! I would highly recommend her to anyone in need of a professional, clean and productive website! Amy is very professional, knowledgeable, and a great listener. She does a great job! Amy did such a great job on my website. She not only helped me design the site from the ground up, but she educated me on how to maintain it on my own. I am a small business owner and I’m often changing the details, images etc., so it was very important to me to be able to go into the site to adjust it here and there. Amy is always available if you have questions day or night and is always very thorough with her work and explanations. There is no question she can’t answer! I am a normally tech reluctant woman, and Amy has changed that at the HUGE surprise of my boyfriend!!! I did training with her when I built my own website to trademark myself as an esthetician. I am now taking over web development for the spa that I work at. I am building a website from scratch and without Amy training me the first time I would be lost. It may seem expensive at first, but I am taking $40 a month payments from the previous “hoster” of the Spa’s website and for $60 I am building a site that I will be able to own and maintain for a whole year!!!!! The owner of this business has always been extremely helpful and knowledgeable about any thing I have asked. I recommend their services! Amy has done a fantastic job with my website. She is hard working and always happy to tackle a challenge. Great job, thanx to Amy!!! When our business unit needed a website to share our products with the business community, we called upon the expertise of One Stop Tech Shop (i.e. Amy) to create our web page’s overall design, user interface, posting and maintenance requirements. The services and functionality provided were first rate; while we ended up with a professionally designed and managed site, our customers gained complete access to our products and services. This was a win-win situation for everybody. As the technical manager of our organization, Amy was invaluable. Her attention to detail and perseverance was renowned, while her graphic design skills, editing and photo enhancement capabilities were legendary. Given a job, she cheerfully saw it through from start to finish, never losing sight of the most intricate details and requirements. Amy was organized, on-time and her professional skills were always in demand. She continues to uphold that reputation today, as the proprietor of the One Stop Tech Shop. Amy was awesome at designing and maintaining our command’s internal websites. Due to mission requirements and changing needs she was faced with the constant challenge of keeping up with innovative and different approaches to web design. She takes a dogged approach to her work to ensure that the best product possible is produced. Amy and I worked together for almost five years. She was instrumental in keeping the awareness of personnel within the command up to speed with happenings related to our mission. She worked collaboratively with numerous agencies and strategic level commands knowledge managers to ensure all special forces stake holders within the U.S. Gov.’t had a One Stop shop for all matters pertaining to Special Operations and Conventional Forces Training within a classified web portal. I can depend on Amy for absolutely wonderful work. She is extremely intelligent and uses her abilities to produce great product in very short timeframes. She is particularly strong in taking initiative and offering solutions to complex problems. I value her advice and skills greatly. Amy worked promoting knowledge management best practices to improve our daily efficiencies, and leading the way for each of us to build our ‘how to’s’ into easily accessible linked pages from a One Stop shop command common to all reference points. If you need something built that is naturally intuitive, collaborative to all users, and efficient with respect to a natural order, then Amy is your go to person to create or update your web design needs. I would hire Amy over any other portal / web page designer I’ve worked with since I’ve learned to use the Internet. At SOC-JC, Amy was the single point of failure; not because she hoarded information, but because she possessed skills far beyond that I have ever witnessed. For the most part, those skills were self-taught which is a testament to her professionalism and initiative. Amy is the consummate professional; one of, no, THE most competent, hard-working person I have worked with in my 30-year professional career. I would work with Amy any time, anywhere. Amy’s outstanding work to design and develop the Gathering of Mountain Eagles (GME) website was critical in getting information disseminated to the public concerning our efforts to help the wounded warriors from the wars in Afghanistan and Iraq. I can truly say that Amy is a critical person in our organization. She is more than deserving of recognition for her wonderful work. I have known and worked with Amy for 7 years. She has always been a very hard working individual who handled all tasks with an eye towards perfection; no task was too difficult. Even with her full work schedule, Amy would always go out of her way to assist coworkers whenever they would need help. If you needed something done, done right, and to completion, Amy was the person to go to. Subordinates, coworkers, and superiors always knew they could go to Amy with an issue and they knew it would be handled professionally and efficiently. Bruce DalyMilitary Trainer, Northrop Grumman Corp.
I’ve never seen anyone do website development better; she was able to dynamically change the parameters of the web design to meet our (the warfighter’s) needs in an extremely timely manner (days, if not hours). This significantly improved the entire command’s ability to accomplish our mission. No one who has served with Amy can attribute their success without attributing that success to the support Amy provided. Amy is the most technologically savvy person I know. If she didn’t have the answer to a problem, she found it and/or developed the solution. I worked with Amy for three years at Special Operations Command-Joint Capabilities. At no time can I recall where she was unable to provide distinctively high level IT services to our organization. Amy is able to enhance even products already in print. Her efforts did not go unnoticed by our command leadership as they relied heavily on her skills. She’s professional in her demeanor and more than capable of providing any IT service you may desire. Amy is an asset to any organization she joins or develops. Amy is dedicated to perfection and customer satisfaction. We call her Mom because she cared enough to make sure we get what we need every time on time. When we want the impossible solved, we call Amy. Amy is the smartest cookie in the jar. Got a problem with digits, call Amy. Amy was a true subject matter expert and ‘go to person’ on all things related to the web pages and portals used by a multi-disciplinary group of military officers from all four services. Her expertise was critical to our ability to effectively manage information both at home and deployed. Amy (i.e. One Stop Tech Shop) is a mission focused professional. She is a proven performer who works tirelessly every task. Amy Dearborn is the most effective web developer / problem solver I have ever had the pleasure to have worked with. She provided miraculous deliverables that enabled SOCJFCOM to efficiently provide training solutions to the Joint SOF Community. Amy is the consummate professional. Her work for SOCJFCOM as the “Web Master” was critical for enabling information sharing and knowledge management in the organization. Her technical skill and ability to translate requirements – sometime very vaguely expressed – into workable solutions was legendary on our team. A focused technician, she always made time to be available to help teammates with thorny problems or to share her knowledge on the various systems we used. I would enjoy an opportunity to work with her again. Amy has my highest endorsement as a highly professional, extremely competent, and uniquely capable member of any team. Amy was routinely relied upon to solve complex technological issues as well as provide recommendations and solutions to online delivery of training materials and exercise support. Her ability to understand the needs of the customer as well as the limitations of the provider were instrumental to ensuring quality support was delivered each time. Amy would be a great addition to any organization or team. If you’re looking for someone to design a website that will demand your customer’s attention, then look no farther than Amy. She is extremely creative and will have folks banging on your door with her presentations. She’s a master of her trade and she attacks each new job with a laser focus. When all is said and done, Amy is a catalyst for success. There is none better! Amy was the sole webmaster for Special Operations Command, Joint Forces Command (which transitioned to Special Operations Command-Joint Capabilities) when I took command in July of 2009. Her responsibilities listed as…Webmaster, for the web design, development and maintenance of several SharePoint websites and team site, file structures, and technical connections and interfaces to other systems and sites…do not come close to what she meant to my organization. She profoundly impacted the way the organization did business. Without her expertise, we would never have begun the move to the Small Group Training concept, which relied heavily on web based design, and reach back. To top it off, she was always willing to take on projects on the periphery. Case in point, she designed the new Command Coin at my behest. She made the command group’s vision a reality, and did it in short order. Bottom line, I would recommend her and her One Stop Tech Shop, Inc most wholeheartedly. More importantly, I would bring her on my team again, anytime. I consider Amy a friend, and one of the most skillful webmasters around. There is none better.